BikeSkirt » Blog Archive » It’s fall! It’s CYCLOCROSS! 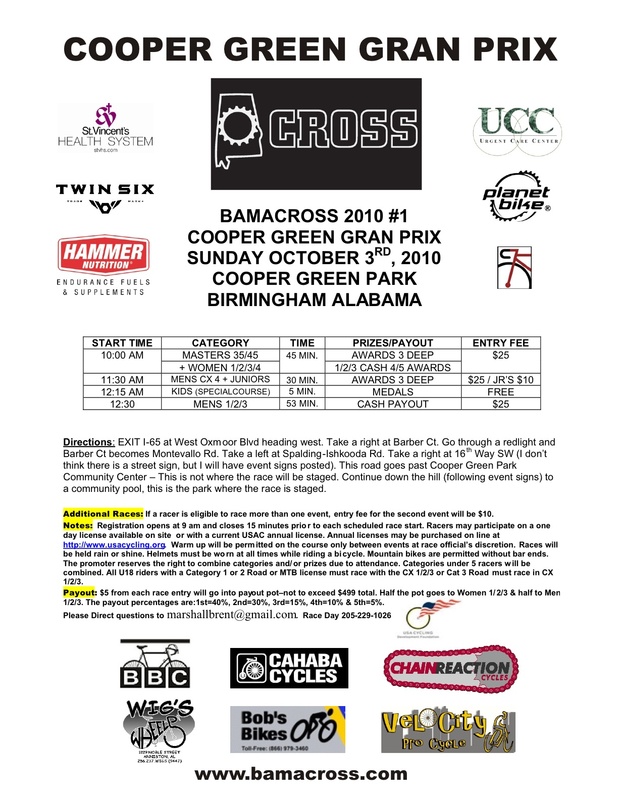 This Sunday is the first Bamacross race of the season. It’s going to hurt so good. Aaaaand if you’re wondering why we get so hyped about it…here’s one reason why. Come heckle me to greatness! posted on September 29th, 2010 under Cyclocross! I cried with laughter at the Hecklers, sadly, I don’t think that type of humour would go down well here. It’s a question of people involved being, way over the top, too serious about their sport. I’ve never attended a cyclocross event, but I’m quite sure that if I “heckled” in the manner of your “Hecklers”, I’d end up with a punch in the mouth or a black eye, very quickly. That’s sad isn’t it? Anyway, I’m just going to replay “The Hecklers”, I need a laugh, thanks for sharing it.